There are numerous types of food poisoning, some not so serious and some quite severe. It all depends on the causative factor and your general health. Typically, victims get sick from eating something contaminated by a bacterial or viral agent because the food wasn't stored or handled properly. Some of the more common sources of contamination include campylobacter, listeria, salmonella, giardia, E. coli, norovirus, and Hepatitis A. If your system is strong and the food just mildly tainted, you might end up with passing stomach discomfort. But if you're a child, older person or generally run down and the food is teeming with E. coli, for instance, you can get violently ill, even within hours, although some types of infective agents take weeks to manifest (hepitatis A can take up to a month to show up). In any event, you'll know it when food poisoning hits. The vomiting, diarrhea, nausea, and cramping that accompany full-blown food poisoning are memorable, to put it euphemistically. Although the worst of the symptoms typically abate in a day or two, food poisoning can leave you weak for days after. If the acute symptoms last longer than a few days and you have ongoing fever, experts suggest you'd better see a doctor. There are things you can do to minimize your risk of getting sick from food, like avoiding restaurants, washing surfaces and hands after handling raw meat or fish, washing vegetables and fruits thoroughly, and keeping your food at home well refrigerated, but still, infection can occur in spite of your precautions. Remember the contaminated organic frozen mixed berries at Costco last year? Hopefully, it won't happen to you, but just in case, here are three things your doctor probably won't mention that you can do to help yourself. Drink coconut water. When people end up in the hospital from food poisoning--and this happens to about 325,000 in the US annually-- it's usually the dehydration that gets them. Your body loses more fluid and electrolytes than it can afford to lose when you have diarrhea and vomiting for extended periods of time. Your doctor will tell you to drink plenty of fluids in order to rehydrate, but there's a better solution than plain water or Gatorade. Coconut water is far more hydrating, it's rich in electrolytes, and contains as much potassium as four bananas plus plenty of other minerals. Compared to sports drinks, it's far lower in sugar and calories.4 Coconut water has long been used in native cultures as a diarrhea cure, with the belief that coconut meat is a cure for constipation while coconut water remedies diarrhea. If you can get water from a fresh, young coconut, you'll get better results than if using prepackaged stuff. Take Apple Cider Vinegar. While coconut water may be most useful after your symptoms have subsided as a rehydration aid, apple cider vinegar can be of great help when you're in the midst of a bout of diarrhea and vomiting. You know how people use vinegar to clean the house? That's because it's a great antimicrobial agent. If you swallow it, it can kill the bacteria causing your distress. I can vouch for vinegar, from personal experience. On a recent trip, I forgot to bring my usual food poisoning remedy, and the sickness struck after midnight, and with a vengeance. Local pharmacies were closed, and when they opened the next day it turned out they didn't carry activated charcoal, second on my list of go-to remedies. The proprieter of the hotel I was staying in suggested the apple-cider vinegar, so I made the recommended brew of two tablespoons diluted in water. Although it was the last thing I wanted feeling as nauseous as I did, I drank it down. And then threw it up, but it turned out to be the final incident. It really did work. Probiotics. If you take probiotics before you leave home, you lessen your chances of getting traveler's diarrhea. If you end up with food poisoning anyway, take probiotics after the episode to restore healthy bacteria in your gut. A bout of food poisoning can leave your gut devastated. While the antidotes discussed above all can be of great help in relieving symptoms, in order to restore balance to your system, it helps to take a formula designed not only to absorb toxins, but also to reduce inflammation and irritation. 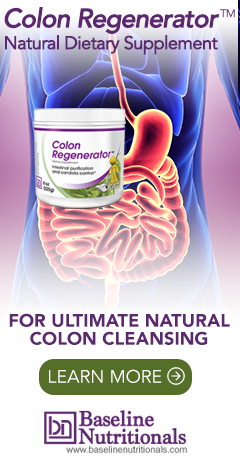 How I wished I had Jon Barron's Colon Regenerator with me during y recent food poisoning episode--a formula that contains not only activated charcoal for absorbtion, but also psyllium seeds and husks and Montmorillonite clay, plus other absorbents and intestinal soothers such as marshmallow root and slippery elm bark. 4. elman, Kathleen M. "The Truth About Coconut Water." Web MD. 21 August 2017. The best germ killer is Vinegar. Take one teaspoon in a small amount of water after every episode of vomiting or diarrhea.